Mr. Milgrim has been successfully handling personal injury and accident cases since 1990. Herb M. Milgrim was born and raised in Highland Park, New Jersey. He attended what is now known as Lynn University in Boca Raton, Florida, where he graduated 1st in his class and played #1 singles on the men's collegiate tennis team. Herb attended law school at the University of Miami in Coral Gables, Florida and became a member of the Florida Bar in 1990. He has been a Licensed Structured Settlement Broker since 2002. He has been active in local charities within the community, where he has resided for over 26 years. Some of the charities that he has participated in include the JAFCO Children's Fund, Joe DiMaggio Children's Hospital, PetSet and the Humane Society. Herb is married with three children. He is a tournament level tennis player and a triathlete. 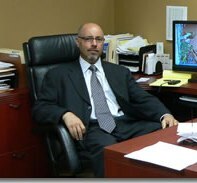 Mr. Milgrim is a member of the Broward County Trial Lawyers Association and a past member of the Association of Trial Lawyers of America and the Association of Florida Trial Lawyers. He is a member of Temple Sinai in North Miami Beach and is active in the Anti-Defamation League.